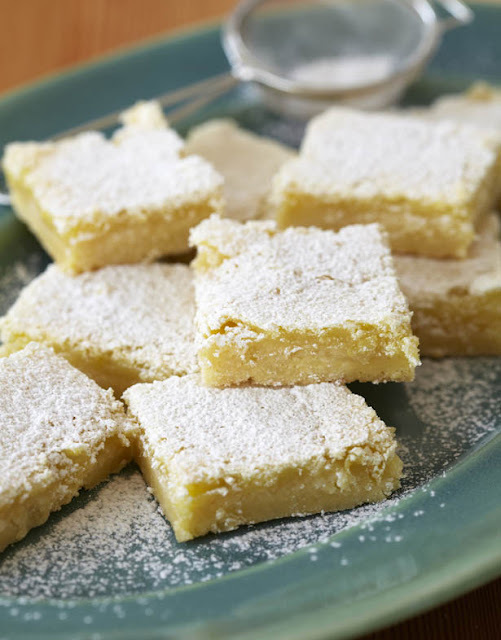 These delicious lemon bars are a must-have for any afternoon tea or birthday celebration. 1. For the crust, cream the butter and sugar in the bowl with an electric mixer. 2. Add the flour and salt and mix on low until just combined. 3. Place the dough on a well-floured surface and gather into a ball. Flatten the dough with floured hands and press it into a baking sheet, building up an edge of just over a centimetre on all sides. Put the baking sheet into the fridge for 20 minutes. 4. Preheat the oven to 180ºC. 5. Bake the crust for 15-20 minutes, until very lightly browned. Let cool on a wire rack. Leave the oven on. 6. For the filling, whisk together the eggs, sugar, lemon zest, lemon juice, and flour. Pour over the crust and bake for 30-35 minutes, until the filling is set. 7. Let cool to room temperature. Cut into squares and dust with icing sugar.